The H Factor: Huntsville ISD Salutes Our Veteran Families! and continue to serve, our country. Lillie and Eli are proud of their grandpa, who served our country. veterans or actively serving. You can read that here. This year, we change our focus slightly to emphasize the children of our District. Lunch with Dad: Taylor and her father, Trey, at Samuel Walker Houston. Christina is proud of her papa, who is currently serving our country. Jensen and Jordan are proud of their mom who served our country, and their brother who is currently serving. Jordan, a senior, is planning on joining the Marine Corp. When mom, dad, brother or sister serves, we know that our kids do, too. So we invite you to read this blog, and see all the faces that love and are loved by veterans. Many of these kids have to sacrifice when their parents serve. We thank these students for their service, too! Tavin is proud of his daddy, who is currently serving our country. This is Mrs. Snyder's home room class at Huntsville Intermediate. These were some of the students who wrote to veterans to thank them for their service to our country. Savannah is proud of her dad, who served our country. These beautiful flowers are part of Scott Johnson's Wall of Honor. is not only an assistant principal but currently active in the Army Reserve. The Veterans' Wall of Honor at Scott Johnson Elementary. At Mance Park, we found these students checking out their Wall of Honor in the Commons. Maggie is proud of her dad, who served our country. just after lunch at Samuel Walker Houston Elementary. Justin is currently serving our country. Cheyenne is enjoying lunch with her dad, Steven, a veteran. There's my Dad and Uncle on the Wall of Honor. Yansi is proud of her brother, who is currently serving our country. This blog post is a living document. If you are a veteran or a member of our armed forces that is currently serving and would like your child included here, please email us at mlahey@huntsville-isd.org and we will be happy to add your child to this post. Veterans, we thank you for your service! Families of Veterans, we thank you for your service! Here's a selection of different activities throughout the District, we hope that you had a chance to help us honor and celebrate our Huntsville Independent School District veterans. Students and staff hosted a Veterans' Day program last night. 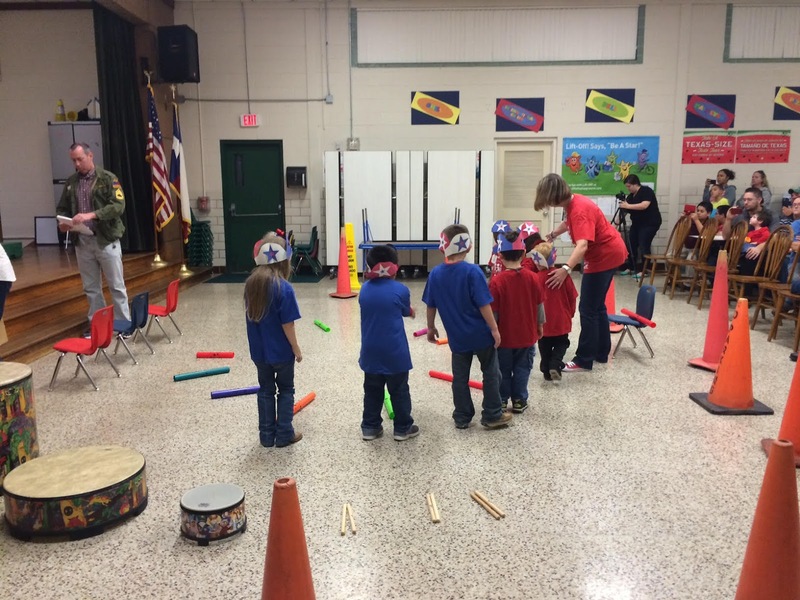 Students and staff hosted a lunch honoring veterans, and the honor choir performed a patriotic mini-concert. 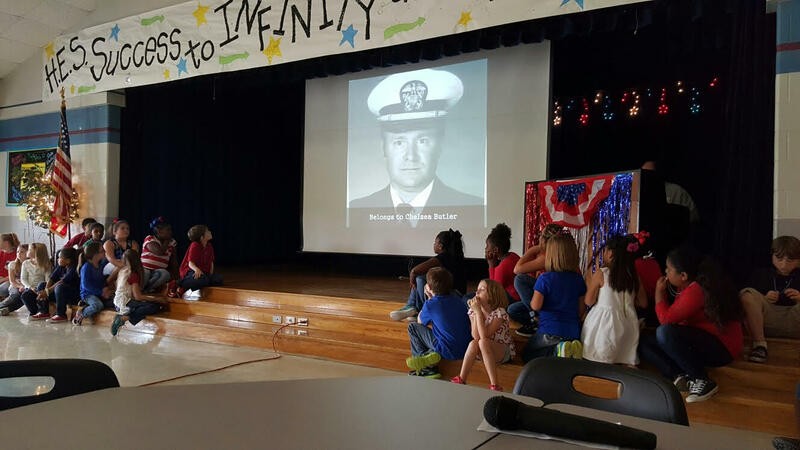 Students attended a program about Patriotism, Respect and Flag Etiquette, followed by a Veterans Day lunch. Students, under the guidance of teachers (who are also veterans), created a Wall of Honor including students family's names, photos and details of service. Students and staff hosted a "Celebration of Service." Student council provided the table service. This week members of the area Boy Scouts will lead a flag etiquette program in each Social Studies class. Teacher are also guiding students in writing letters to a veteran and they will be sent to the Veterans Foreign Wars Hall, the Veterans' Memorial here in Huntsville and the Veterans' Hospital in Houston. The history classes are creating a "living history" project from the families who has served our country. They have created a "Wall of Honor," and the Life Skills students are sending cards to the veterans and those currently serving. The Hive Video announcements will feature campus veterans on their Friday broadcast, and Journalism students wrote articles that will appear in today's edition of The Huntsville Item. Evie is proud of her dad, who served our country. Alexis is proud of her dad, who served our country. Lunch with mom at Stewart Elementary!! Ashleen is proud of her brother who is currently serving our country. Huntsville Elementary's Choir watches the presentation between their performance. Shelby is proud of her aunt, who is currently serving our country. 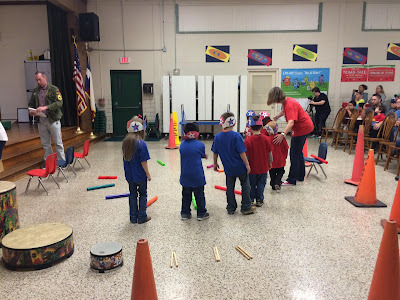 Gibbs PreK Center's Salute to Veterans program. Ishmael is proud of his "abuelo,' who served our country. Stacie has lunch with her dad, William, at Samuel Walker Houston Elementary. Carlee is proud of her dad, who served our country. Ainsley finds her dad on the Wall of Honor at Scott Johnson Elementary. Mark is proud of his dad, who is serving our country. Trey is proud of his dad, who served our country. Angel is proud of her dad. He's currently serving our country. 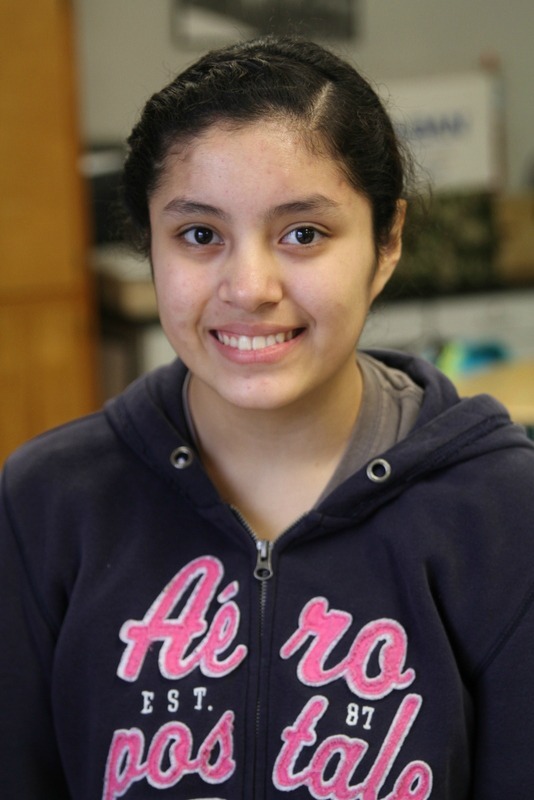 Valencia is proud of her dad, who served our country. Chloe and Christal are proud of their mom, who served our country. Brayden is proud of his aunt, who is currently serving our country. Isabella is proud of her dad, who served our country. Marlen is proud of her mom, who served our country. Nicole is proud of her dad, who is serving our country. Julio is proud of his dad who served our country. 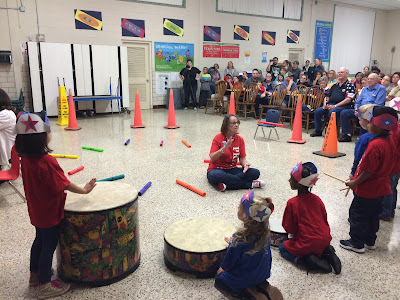 Stewart Elementary's "hug and a kiss" for the veterans. Photo by Amanda Kuykendall. Blake is proud of his grandpa, who served our country. Bree is proud of her "Pops," who served our country. Annaleigh is proud of her grandpa, who served our country. Van is proud of his grandpa, who served our country. Flags flying at Stewart Elementary School. Rosalie and Lucy are proud of their grandpa, who served our country. Caleb is proud of his family, who served our country. Lucas is proud of his dad, who served our country. Stormy is proud of his family, who served our country. These students serve the veterans with a smile! Look closely, and you'll see that this decoration at Stewart Elementary is made up of cutouts of hand prints. Victor is proud of his grandpa, who served our country. Well, this is a GOOOD sign, isn't it? Chase is proud of his grandpa, who served our country. Steely (aka "Tootie") is proud of her grandpa, who served our country. located right here in Huntsville at 463 State Highway 75 North. www.heartsmuseum.com for more info. These pictures are so sweet! I’m sure the veterans and all those currently serving the country would feel very appreciated and honored by seeing these.